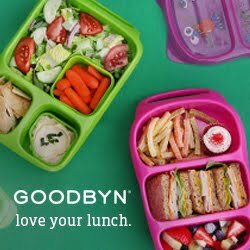 When Yumbox first released it's bento lunch box in 2013, I could not wait to be one of the first to have one. Yumbox offeres a solution to so many lunch packing issues that with it's release lunch packing got so much easier. And we used our Yumbox a lot since then. 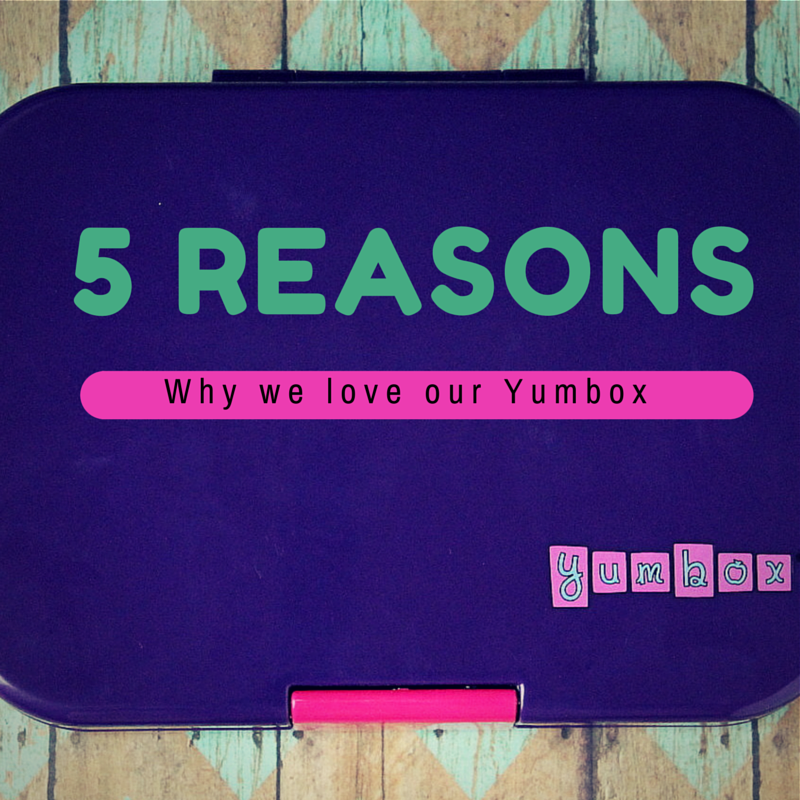 Now that we have added to our Yumbox stash and with the new Spring colors and the redesigned tray being released this Spring I wanted to share our top 5 reasons why we love our yumbox. My two youngest kids are snackers. They like to eat smaller portions and a variety of food. The Yumbox obviously is perfect for them. I can pack 5 different foods plus a dip or treat in the tray and they will have a little of everything (fruits, veggies, grains, protein and dairy or any combination of those). When my daughter started Kindergarten, I tested out several lunch boxes for her ahead of time (we packed lunch at home to see how easy it was for her to open them). I wanted her to be able to open the lunchbox on her own without spilling the contents and I wanted to send her confident that she could manage on her own. Yumbox only has 1 lid to navigate for all the compartment and with the new and improved latch it is easier to open and to close the lunch box for anyone 2 and up. I have other multi compartment lunch boxes for my older kids but Yumbox is simply the easiest to handle. Starting full day school with a packed lunch was exciting enough for my daughter and she kept requesting the same lunch over and over to have predictability in her day. She was set on certain foods and left her Yumbox untouched when I added new foods to try. 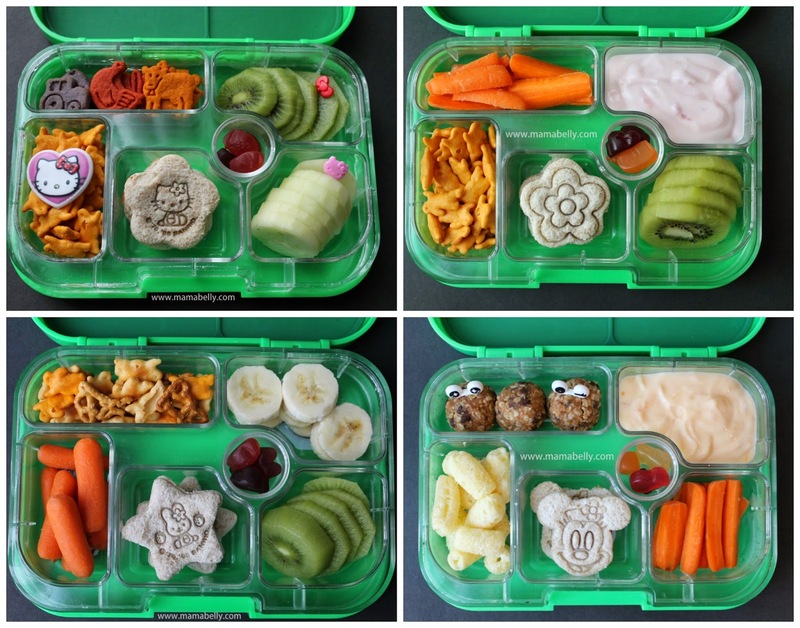 Thankfully, Yumbox has 5 compartments and I was able to pack her similar lunches for the first weeks with a few tweaks here and there. By the end of the first month her lunches had a lot more variety. My kids love yogurt. Unless I want to buy overpriced tube yogurt, Yumbox is one of the only lunchboxes we have that makes sending yogurt a non-issue! Other foods we love to pack are: applesauce, strawberry salad, pudding and jello. I used to simply use the small round compartment for treats (fruit snacks, chocolate chips) but once I filled it with nut butter for dipping it has almost exclusively become just that: a dip container. No matter if you want to send apples with nut butter, vegetables with Ranch or biscuits with honey, the dip compartment is your friend to get your kids to eat more fruits and veggies.